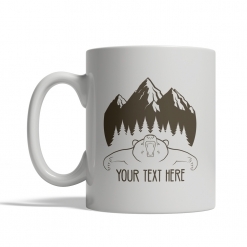 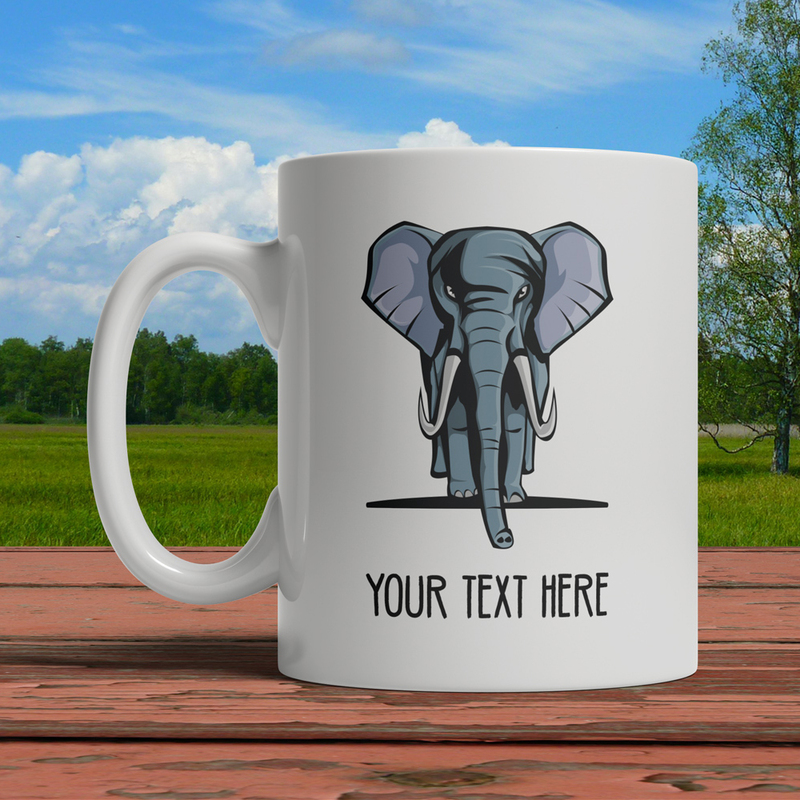 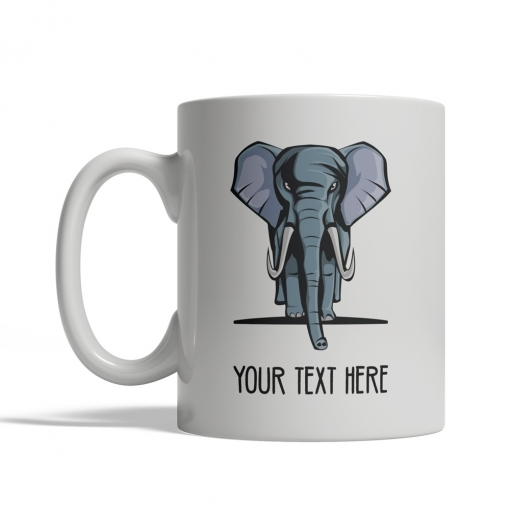 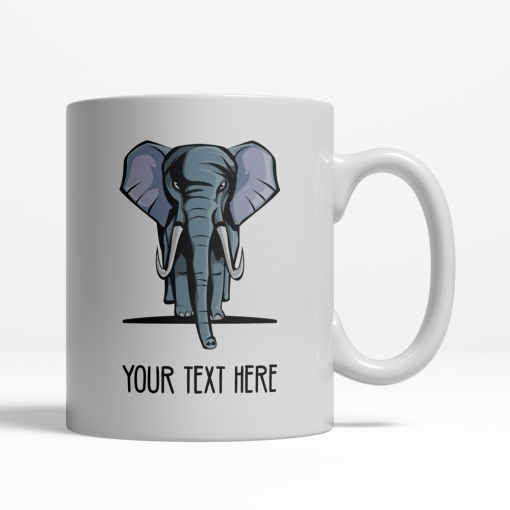 This 11 ounce Mug features a great illustration of an Angry Elephant. 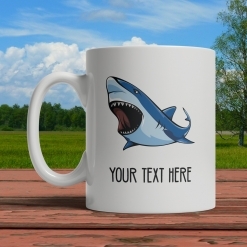 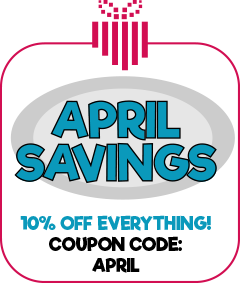 Available with or without text, you can personalize it a custom phrase, text, or name. 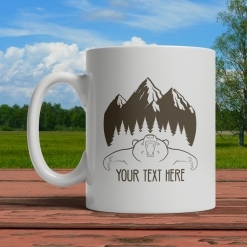 Text is displayed in all CAPITAL letters. We recommend keeping the text under 15 characters or so for a look similar to sample. 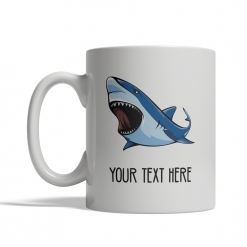 Longer text may result in reduced size or multiple lines.